Go so far as to look for reasons to devalue or even deny your workers’ compensation claim. In this three-part blog, we will discuss some of the most common reasons that insurers and/or employers may dispute your claim. If your claim has been denied for any of these or other reasons, contact the Bisset Law Firm to learn more about your options for obtaining the benefits you likely deserve. Reason 1: Insurers don’t believe your injuries were sustained while you were at work. May have even pre-existed the incident or event associated with the claim. In cases when there are no witnesses to (or surveillance footage of) the accident or event that caused the injury, this allegation can be especially difficult to challenge. However, an experienced attorney can be effective at compiling evidence – like doctors’ reports, evidence from the accident scene, etc. – that can be powerful in reversing insurers’ denials of workers’ compensation claims. Reason 2: Insurers say you didn’t file your claim within the necessary deadline. 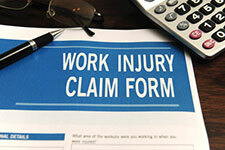 File their workers’ compensation claim within one year of the date of the accident. This one-year time limit can, however, become trickier to pin down in the case of occupational diseases, as there may not be one single event that led to the condition. Instead, in these cases, the one-year countdown typically starts from the date on which the injured party became aware of his condition (which, in many cases, can be the date on which the condition is officially diagnosed by a doctor). If you miss these important deadlines, your claim can be denied by insurers. If, however, you know that you didn’t miss a deadline but insurers are still claiming that you did, it’s time to seek legal help in challenging insurers and getting the full amount of workers’ compensation benefits that you deserve. For our continued discussion on this topic, be sure to check out the upcoming installments of this blog. Have you been injured at work? If so, Denver Workers’ Compensation Attorney Jennifer Bisset wants you to know that she is here to aggressively advocate your rights and help you obtain the benefits you need and deserve. All of the experienced legal professionals at the Bisset Law Firm are dedicated to providing each of our clients with the highest quality legal representation, keeping each of our clients informed at every stage of their claims and, ultimately, helping them obtain the best possible results for their important legal matters. Contact Denver Workers’ Compensation Lawyer Jennifer Bisset by calling (303) 894-8900 to learn more about your rights and receive a professional evaluation of your case. While we offer knowledgeable, superior counsel to anyone seriously injured on the job, some of our additional key strengths include our fierce negotiating skills, our extensive trial experience and our readiness to take decisive action when the denial or delay of a workers’ compensation claim is finally overruled.